Mobikwik Postpaid Bill Payment Offer- Pay your first postpaid mobile bill payment on Mobikwik. Minimum amount spends to redeem the SuperCash is Rs.300. Simply enter the mobikwik coupon code during checkout. Maximum SuperCash is fixed at Rs.200. This mobikwik offer can be redeemed once per user only. Offer is valid on the first transaction in Postpaid category. Get this limited period offer. Get flat Rs.50 SuperCash on mobile prepaid recharge done on MobiKwik App or website. Minimum amount spend to avail the offer is Rs.100/-. Maximum SuperCash is fixed at Rs.50/-. Please enter the mobikwik coupon code at the time payment. Hurry up, Take this supercash right now. Mobikwik All User offer! Get 5% SuperCash on Mobile recharges of Rs.10 or more. Simply apply mobikwik promo code during checkout. The minimum transaction amount is Rs.10/- to avail the cashback. Maximum supercash is fixed at Rs.100/-. Discount coupon can be redeemed 3 times per user month. Coupon redemption & Payment should be done on Android, Windows, iOS App or website. The offer is applicable on all Mobile recharges. Offer valid for all new & existing users as well. Hurry up, Recharge it now. Mobikwik offers upto Rs.150/- supercash on jio mobile recharges. Apply mobikwik promo code to avail the discount. The offer is applicable on Jio Mobile operators. Latest Freecharge Mobile Offer- Recharge your mobile phone from freecharge.in & get 100% cashback on payment. Use freecharge coupon code to avail the discount value. No minimum transaction value is required to activate the offer. Maximum cashback can be avail is upto Rs.75/-. This freecharge offer valid once per users only. Valid on credit/debit card/Netbanking & FreeCharge handled UPI transactions only. Offer Valid only once per New User/Credit/Debit Card/Mobile Number. Hurry up, Grab this offer today. Jio recharge offer on freecharge! Get 20% cashback on your jio recharges. Under this freecharge offer, you will get maximum cashback of Rs.50/-. Enter the freecharge coupon code performing the transaction. No minimum transaction value is required to avail the cashback. The offer is valid once per User/FreeCharge Account/credit card/debit card/net. Offer valid for all freecharge offer. 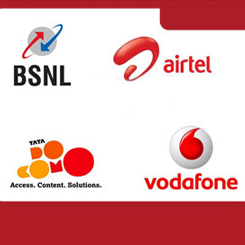 Freecharge offers Flat 50% cashback on BSNL recharge. To redeem this freecharge offer, you need to transact Rs.400/- to get the benefit. Freecharge coupon code has to be applied to avail cashback offer. offer is valid for BSNL Prepaid and Postpaid transactions only. The offer is valid once per User Freecharge Account/credit card/debit card/net. Offer valid for all freecharge user. Hurry up, Enjoy the all users freecharge offer. Recharge it now! Offer valid for today only. Looking for mobile recharge coupon? Well, Don't worry! PhonePe offers upto Rs.75 cashback on mobile recharge. Cashback will be applicable on repeat jio prepaid mobile recharge on PhonePe. Minimum transaction value should be Rs.149 & above. Offer valid only on UPI payment. Minimum transaction amount of Rs.149 to be paid through BHIM UPI, BHIM UPI+Wallet payment modes. Offer valid once per phonepe registered user for repeat jio recharge on PhonePe. The best part is that coupon code is not required to avail the cashback. Hurry up, Redeem this phonepe cashback offer. Paytm offering to you Flat Rs.30 cashback on your first mobile prepaid recharges. The best part is that minimum transaction value is not required to avail the cashback. Enjoy 100% cashback on your first mobile recharge. Maximum cashback that you can avail is Rs.30/-. Make sure to use paytm promo code during checkout. Offer applicable on mobile prepaid only. Offer valid for users who have not done a mobile recharge on paytm before. Paytm offer Flat Rs.30/- cashback on your first recharge of reliance jio via paytm. Minimum transaction amount should be equal or above Rs.398/-. This paytm coupon can be used only once per user and once per number. Offer can be availed once per user on jio mobile recharge. Offer valid only for Jio users. Offer valid for paytm new users only. Paytm Existing User offer! Get Flat Rs.20/- off on jio recharge. Don't forget to use paytm discount coupon code at the time of checkout. This paytm jio recharge offers valid for all existing users of paytm. This coupon code cannot be clubbed with any other offer of paytm. Go ahead, Enjoy the paytm cashback. If you are recharging your prepaid mobile for the first time using Amazon then you are entitled to cash back. You can get Flat 50 Rs back on minimum recharge of Rs 148. And if you recharge for a minimum amount of Rs 398 then you can get flat Rs 100 back. Offer extended to new only. Offer valid on all telecom operator. Recharge your mobile using Amazon and get a 30% cashback. You can get maximum Rs 50 as Cashback. Cashback will be credited into your Amazon Pay within 3 days of recharge. No need to use any Amazon offer code to avail this offer. The user can use this offer only once a month. Offer applicable on all telecom operators. Offer applicable to all payment method. Offer extended to both new user and existing user. No minimum value of recharge is required to avail this offer. Valid for a limited period of time.